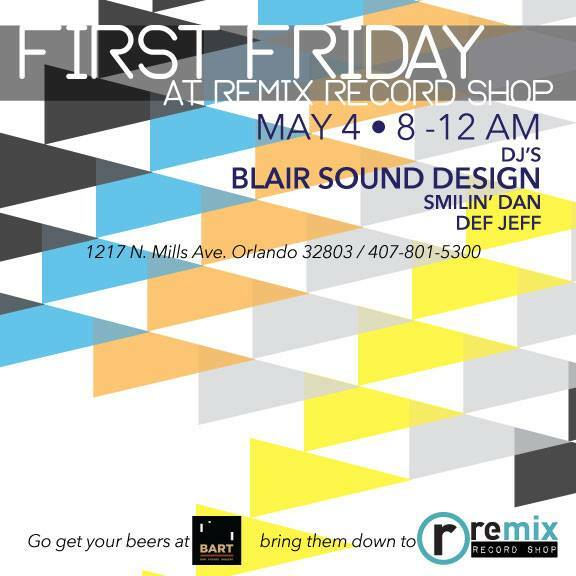 First Friday at REMIX RECORD SHOP. Please join us 9/7 from 9p - 1a for an all vinyl House set with special guests DJ Carlos Mendoza and DSUM! No Cover. 18+. Beer and Wine for Cash Donation. Thank you to everyone that came out for our First Friday at REMIX RECORD SHOP! That was a ton of fun. Special thanks to Lee Coombs! Absolutely amazing! Mark your calendars the next First Friday will be 08/03/18 from 9p - 1a!